small studio with own toilet and bath ,with lababo and wash sink ,3900 /mo.good for single only,,.4200 /mo for couples and or (6000/mo good for family,,with 1 bedroom,dining,kitchen ,toilet and bath ). call lola neta at 4047268 or 09206069109, address ay 3 victoneta ave near corner macarthur hiway, potrero malabon./.....mga 5 street blocks from monumento circle....mula edsa o SM NORTH O MULA RECTO O MULA RIZAL AVENUE sakay ka ng jeep o bus na dadaan sa macarthur hiway tulad ng biyaheng malanday, o BBB o meycauayan ,o valenzuela, sabihin mo ibaba ka sa kanto ng victoneta avenue,potrero,SA may BPI family savings bank ,mga 6 na bahay lang kami mula doon, sa may UMQUA water station bldg,tapat ng GENERIC drug store ,along the main road,hindi looban,no flood,sarili metro,.DOORBELL KA LANG sa blue gate #3..........the place is near La Salle araneta , MCU , Fatima university , ...or just an LRT ride to Makati. You searched for 3 victoneta avenue,near corner macarthur hiway,potrero, malabon and this page shows the full details of this accommodation to let. 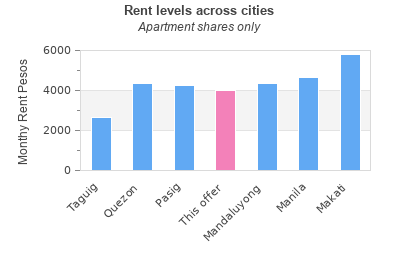 This Apartment is located in Potrero in Malabon. This property has bedrooms, bathrooms and the rent is PHP 4000 monthly. This accommodation for rent was last updated on 2013-01-22 22:39:58. The classified has been displayed 7195 only today. 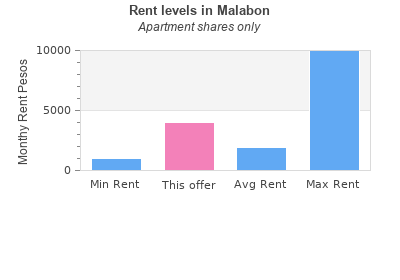 You can see other lettings in Malabon.